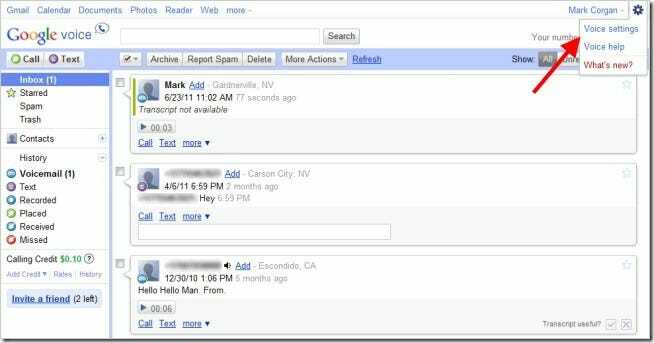 Adding a Google Call Widget to your website or blog allows visitors to contact you using your Google Voice number. The widget provides an easy and cost-effective way to provide live customer support without the customer knowing your real number. 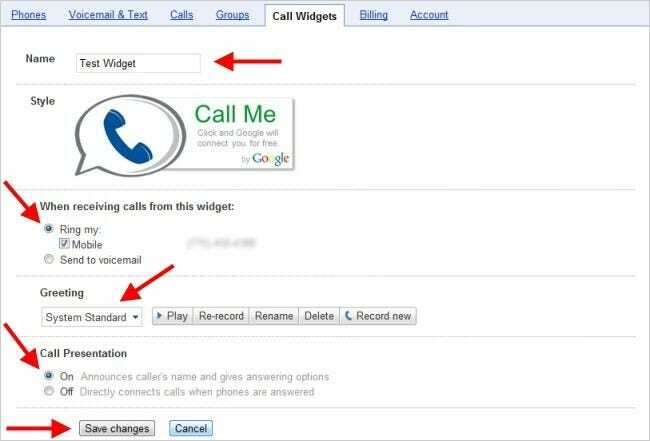 The Call Widget works using Google Voice to first call the number the customer types into the widget form. Once connected, the user is prompted to connect to the number you have configured the widget to call. Google voice connects the two numbers and you are talking away in an instant. 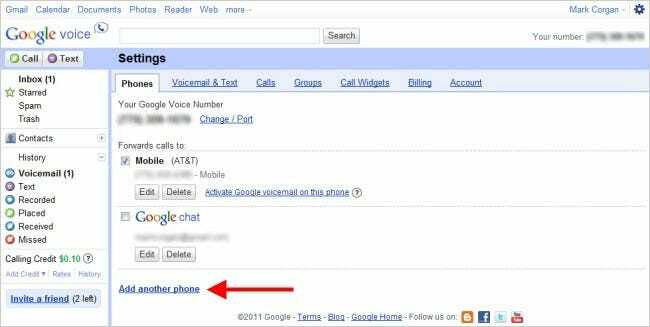 Log into your Google Voice account and click on the gear icon in the top right corner. Click on the “Voice settings” menu item. Add a phone number that you want the Call Widget to call you on by clicking on the “Add another phone” link. 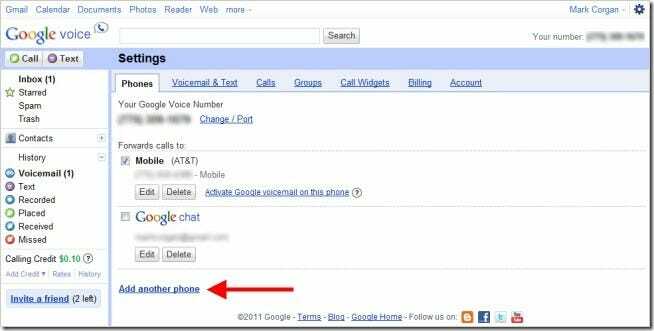 If you want to use your Google Voice number by default, which means you will have to be in front of your computer to accept calls, skip to step 5. Fill in the name, number and phone type information. Select whether you want to receive text messages on the number specified if you select “Mobile” as the phone type. Click the “Save” button to save your settings and return to the “Phones” tab. 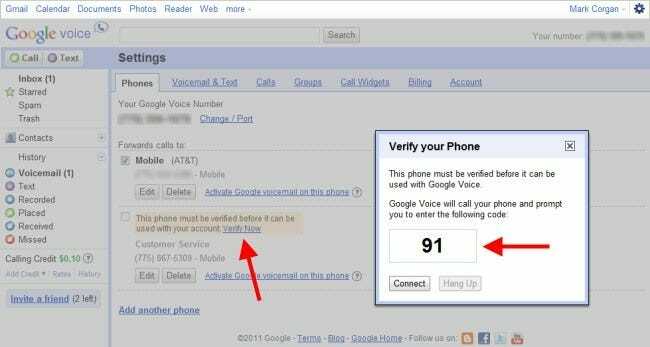 Verify the new phone number by clicking on the “Verify Now” link near the new phone number entry then click the “Connect” button to initiate the verification. 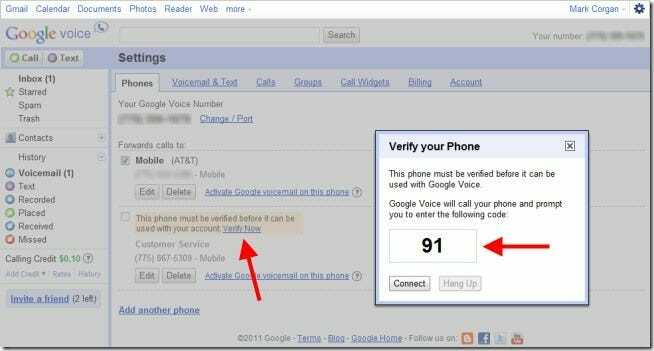 Google Voice will call the number and prompt you to enter a code. Once this required step is completed, the number is available to use with the Call Widget. Click the checkbox next to the phone number you want the Call Widget to call you on. If you want to use your Google Voice number, don’t check any numbers. Click the “Call Widgets” tab when you have chosen a number. 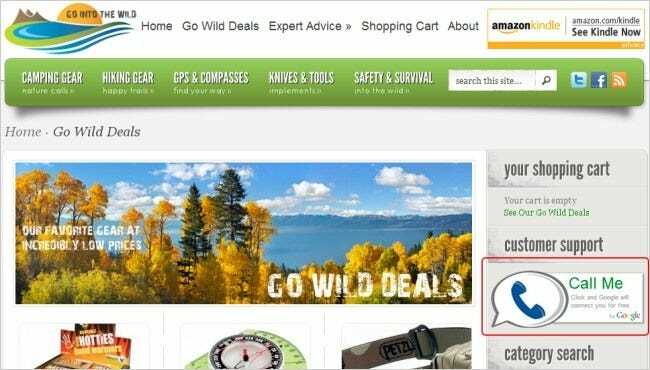 Click on the “Add a new Call Widget” link to define a Call Widget for your website. The Call Widget will use he number you checked in step 5. Fill in the name field, choose how you want the call to be received, select a greeting type or record one and pick how you want the call presented when the Call Widget connects to the customer. Click the “Save changes” button to save the Call Widget settings. Select and copy all the text in the “Embed” field. 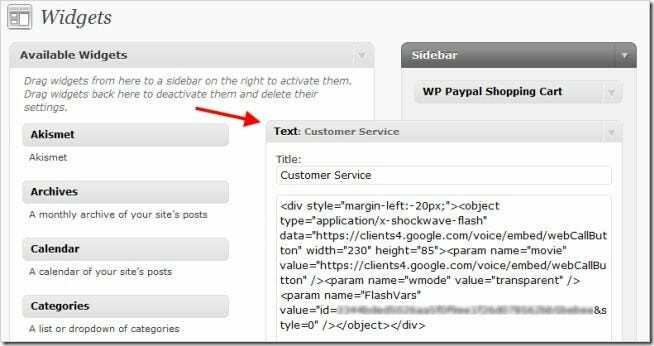 This is the code you will put into your blog or web page. 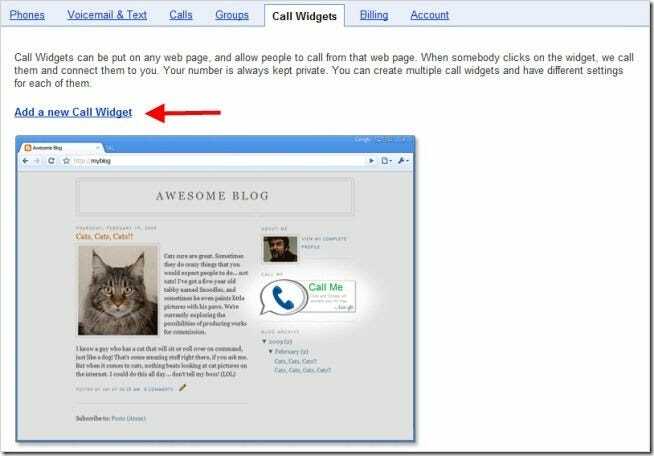 Open the web page you want to add the Call Widget to in your favorite HTML editor. 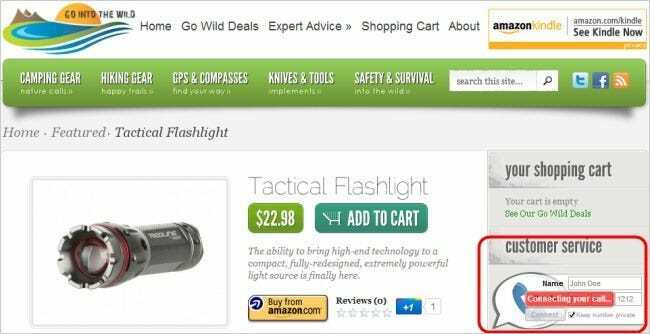 Find the place in the HTML code you want the Call Widget to appear, such as on a sales page or sidebar. Paste the code you copied in step 8. Save the HTML file, upload it to your site, and go to the page to ensure the Call Widget appears. To verify the widget works on your website, click the Call Widget image and enter your name and a phone number such as your cell. Check the “Keep number private” checkbox if you want your number hidden from the receiver of the call. 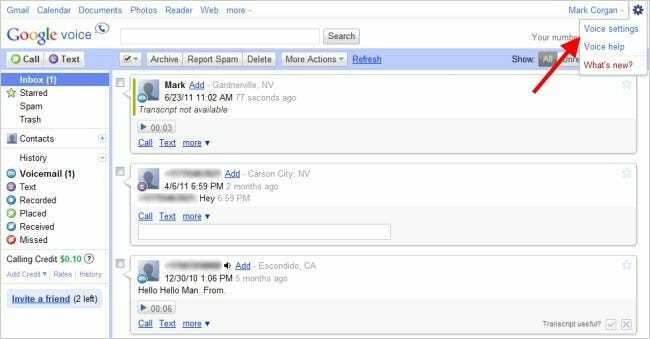 Click the “Connect” button and Google Voice takes care of the rest. 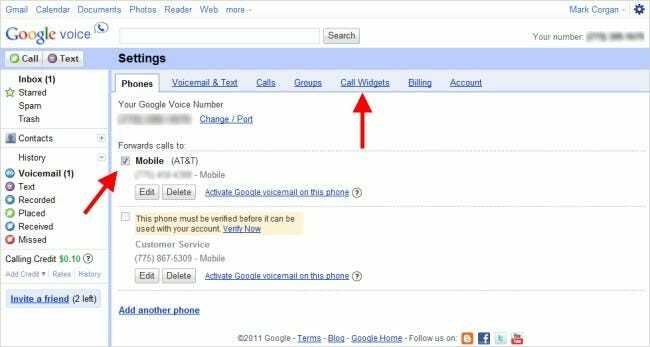 Adding a Google Call Widget to your website is a great way to offer your customers a simple way to contact by voice without revealing any of your phone numbers. You can configure any number of Call Widgets to call any number you desire (provided you can verify the number). 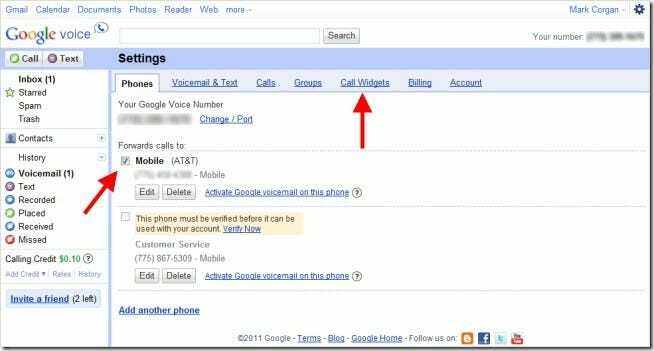 And if you’re not available to accept calls when one is made via the Call Widget, Google Voice will send the caller to voice mail and send you an email to let you know about. Now that’s customer service!